A team of university researchers in California have developed an incentivized smartphone application that they hope can help solve some of the issues with Los Angeles’ notorious traffic congestion. 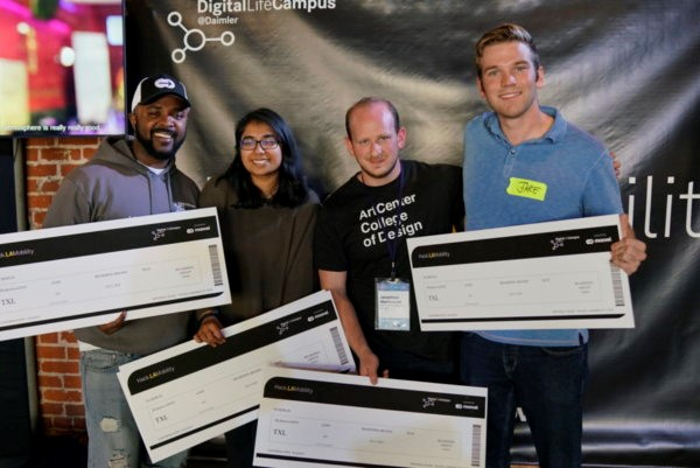 Created in just 24 hours at the recent HackLA Mobility hackathon, the app development team was led by Jake Beaudin from the Department of Industrial and Systems Engineering at the University of Southern California (USC) at Viterbi. The HackLA event challenged participant teams to spend a day devising a solution to traffic problems in LA. 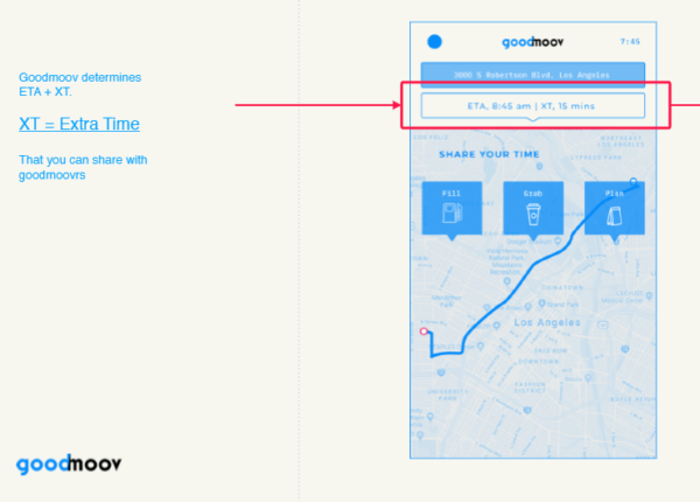 Beaudin and his winning team created the Goodmoov app, which was presented to the global technology industry at the Consumer Electronics Show (CES 2019) in Las Vegas, Nevada, during January, with the support of Daimler AG and its Moovel urban mobility brand. In Southern California, half of all congestion is comprised of recurrent bottlenecks, with the average LA commuter spending over 100 hours per year sitting in traffic. Beaudin noted that when a large proportion of drivers simultaneously use routing apps, such as Google Maps and Waze, to escape the bottlenecks, this can actually increase congestion, with multiple drivers trying to get out of the jam via the same suggested routes. Transportation experts often propose reducing bottlenecks through congestion pricing, via a tax that discourages the use of high-traffic roads by increasing cost as roads get busier. Congestion pricing uses negative reinforcements to incentivize drivers to leave the most congested roads. Beaudin had been working with his teammates at the Idealab technology incubator in Pasadena when the HackLA opportunity came about. Having created the Goodmoov concept at the hackathon, Beaudin is now developing the app’s overhead simulation of LA traffic movement to show how the traffic functions at present and to demonstrate with predictive analysis how the app could mitigate the problem areas. The team is working on a more complete app and a more robust stimulation to demonstrate it in preparation for its showing in Europe.